One of the tech startups to come out of Lebanon that looks set to soar is White Lab, a company that specializes in healthcare analytics, headed by Lebanese entrepreneur, architect, and professor at the Lebanese American University (LAU), Cyrille Najjar. The White Lab CEO partnered up with Eve Tamraz, who holds a PhD in neuroscience and focuses much of her work on the health and environment, to set up the enterprise. We thought that there is a huge problem in healthcare in which many of the treatments were not based on tangible data, says Najjar, who hopes that White Lab will provide products that can increase data transparency to both doctors and patients. Developing this super cool gadget wasn’t a simple task for both co-founders, but two factors certainly made the process easier: the diversity of skillsets and keeping it straightforward. Tamraz says that they started experimenting with the “electronic side” of the product, using a Styrofoam board. All this was done in the living room as well, adds the co-founder. While the folks at White Lab are looking for angel investors to help them scale up the product, they bootstrapped to kick things off. "In the beginning we focused on patenting the technology, traveling expenses, [attending] fairs, and prototyping", explains Najjar. In addition to both Najjar and Tamraz, the team includes a consulting CFO, a developer, a junior architect, and a business developer. Coding tasks are outsourced, although the co-founders claim to have taken a stab at it themselves as well. More on how Sensio Air works: the co-founders add that it’s “both a device and an app. The device tracks everything in the air and feeds the info back to the cloud, and then to your phone, says Najjar. Tamraz elaborates: “It will give you information on everything from light intensity, allergens, gases, and other irritants.” But not only does it give an analysis of the air, according to Tamraz, Sensio Air will also share the potential health problems based on its analysis. The app was launched in January for both iOS and Android devices, and is free. 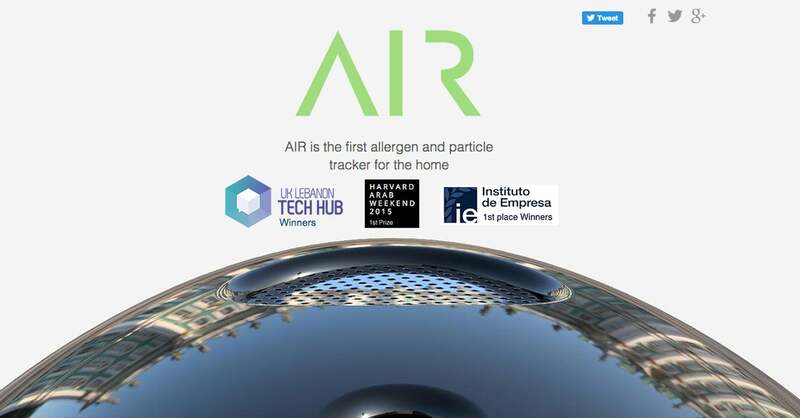 On its own, the app will provide data of allergens and other irritants in the air, depending on which city or country they’re in. This info will eventually come from other users of Sensio Air; at this point, it will come from “third-party research and from some of the Sensio Air devices that they’ve set up in different cities. What about the company’s marketing efforts? The co-founders admit to have been emphasizing heavily on putting out a top-notch product at the moment. While you can find White Lab and their parent company, White sur White, of which Cyrille Najjar is its CEO, online, most of their interaction has been focused on other businesses, particularly energy companies, and companies that monitor air quality. Najjar believes that the provision of networking and mentorship opportunities, as well as the top-notch tech infrastructure that the hub offers will only shake things up for Lebanon’s tech scene. 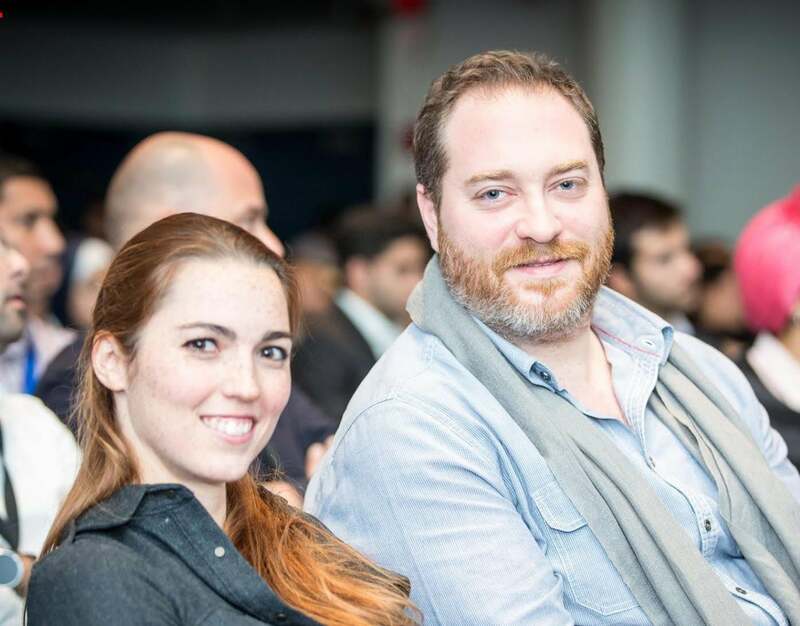 “Next year, we’re going to see a huge batch of stellar startups in Lebanon,” Najjar predicts. Both co-founders are confident that the UK Lebanon Tech Hub and other similar initiatives are going to dismantle Lebanon’s main obstacle to its entrepreneurial ecosystem: the country’s weak tech infrastructure. So can we anticipate a slow down in Lebanon’s infamous “brain drain”? Here’s hoping for the best.